The creative mechanical genius of Monster Garage meets the existential sexuality of Rebel Without a Cause - Wildman is a little brother's homage to the coolest big brother any boy ever had. It's the true story of R.L. 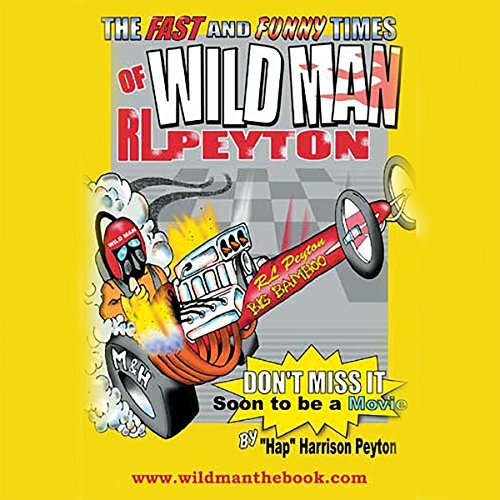 Peyton who was, by anyone's definition, a wild, wild man who lived as fast as he raced. Imagine if Albert Einstein had concentrated all of his genius on building the fastest dragster ever made and had the personality, good looks, and charisma of James Dean - that was R.L. Peyton. "The Wildman" was the ultimate underdog. A racer in a high stakes games with no bankroll, R. L. would beg, borrow, or jerry rig whatever he needed to race. He became the hands-down crowd favorite at every track because they knew the Wildman would blow up, crash, or set a new track record every time he got in the car. Before drag racing was legal and there was anything like the NHRA, Wildman was blowing the hoods off Mustangs in souped-up Studebakers on the swampy back roads of Dade County. In the early '60s there was already a full-blown drug subculture in South Florida and the same men that dealt bails of pot and kilos of coke had access to "hot" Chrysler hemis. Wildman ran with the outlaws because he had to get a fix for his racing habit. When the sudden explosion of creative energy in the '60s began blowing the doors off music, writing, art, and political institutions, R. L. was challenging everything about mechanics, automobiles, and racing. These two brothers shared every car they built together, every race, every wreck, every cheap motel, and every set of beautiful twins they met. R.L. and Hap came up against county sheriffs and city cops, race officials and the other drivers, and a limited income. Nothing could stop them. But unlike a lot of geniuses who were driven to excellence and pushed the envelope, Wildman earned the respect and admiration of everyone. If you have any questions about this product by Harrison Peyton, contact us by completing and submitting the form below. If you are looking for a specif part number, please include it with your message.